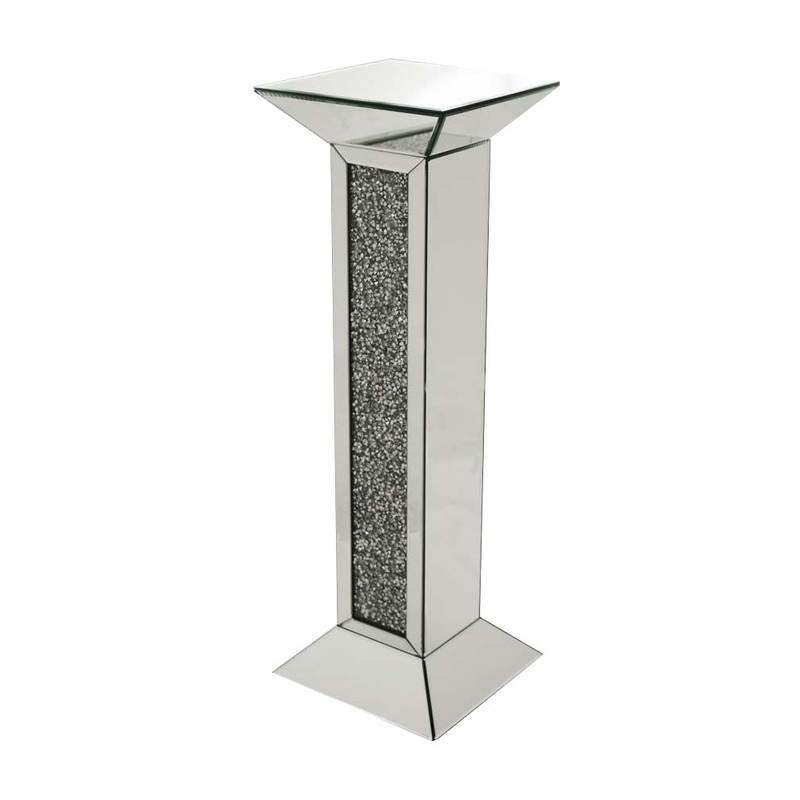 This is such a elegant plynth that could be perfect for your home, it has a simple design yet is truly beautiful. It has the simplistic touch of diamond like crystals on which helps bring out its beauty without overdoing it. This Plynth is part of the mirrored Gatsby collection.